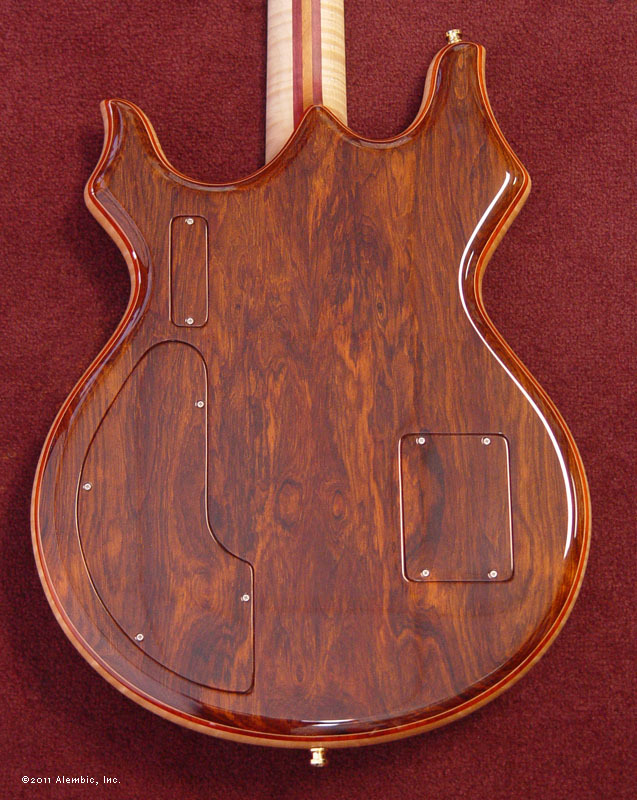 Tribute guitars command attention - first, with the look. Framed by a Maple pinstripe and Vermilion accent laminate is a mesmerizing copper-red Coco Bolo top. 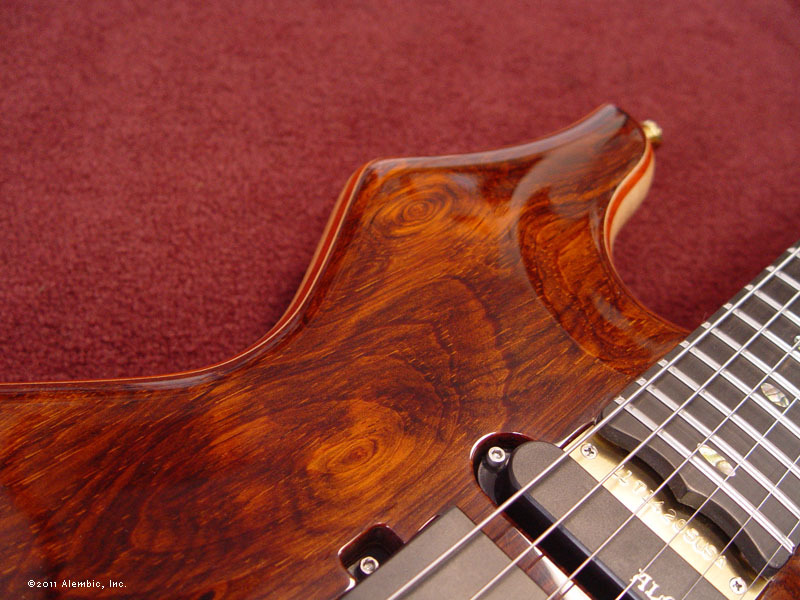 Unusual grain pattern with an almost burnished look is striking. 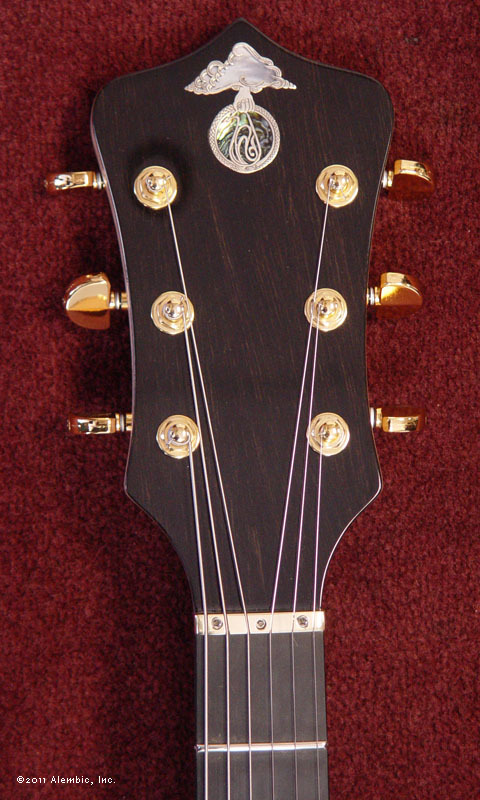 The front veneer of the peghead is Ebony with a sterling silver inlaid Alembic logo complete with Mother of Pearl and Abalone below the surface of the finish. Wait until you plug it in. That's when the major attention starts. 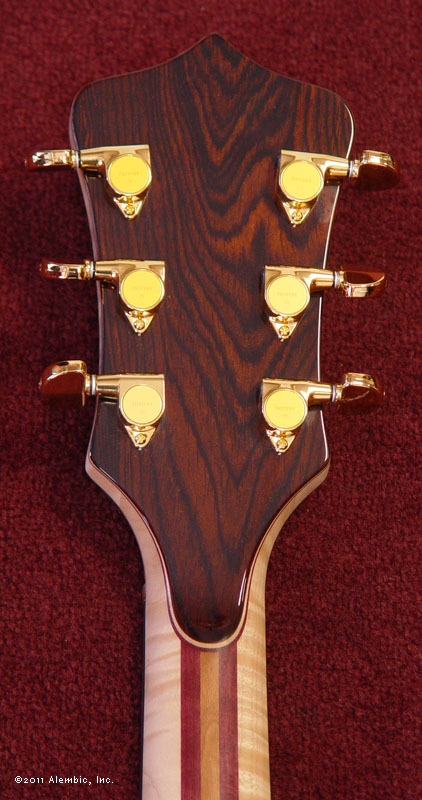 This guitar produces a wide range of sounds, from warm to bright, but all are rooted in the clarity that is the essence of Alembic tone. 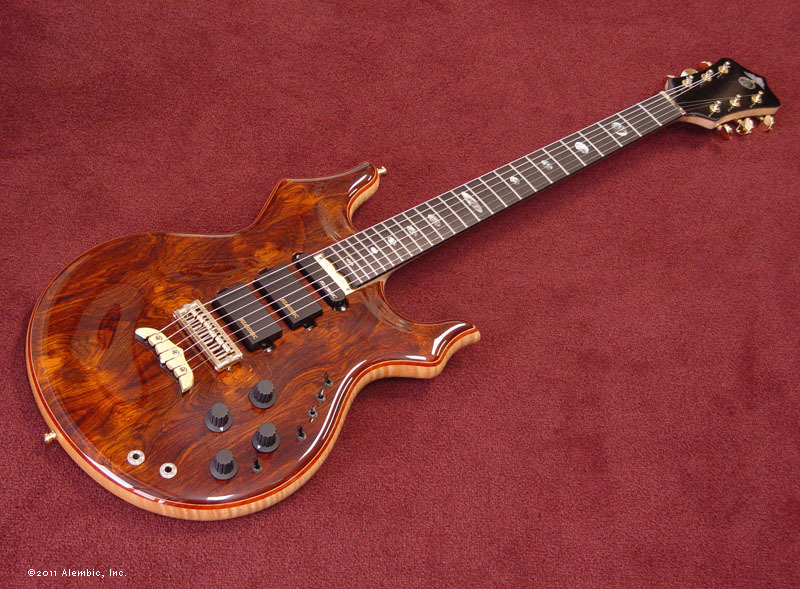 You may not have heard such a clear electric guitar, unless you have another Alembic in your collection.